When you are admitted to the hospital for surgery, you may have some degree of nervousness about the procedure because even the most routine surgeries carry risk. You may not, however, be thinking about the other things that could possibly go wrong that are not directly related to your procedure such as an accidental fire on the operating table. If you should suffer burns from a surgical fire or any other burn caused by a medical procedure, you may be able to take legal action against the doctor and hospital for your injuries and losses. 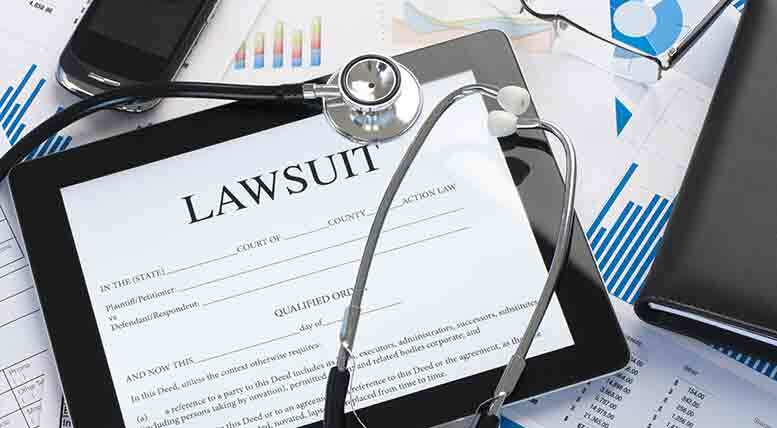 At the Rocky McElhaney Law Firm, we fight to protect the rights of our clients who have been injured by the negligence of their doctor or other medical professional. If you suffer burn wounds due to medical negligence, we can help you take legal action and get the justice you deserve. Our Nashville medical malpractice lawyers will fight for your family and your future. Surgical fires. A surgical fire can ignite around a patient while they are on the operating table. The American Society of Anesthesiologists reports in a study of over 140 surgical fires, more than 30 percent of the incidents were attributed to electrical tools used for cauterizing, and more than 50 percent were caused by warming blankets. The dangerous mix of oxygen and electrical devices used in surgery makes for a volatile combination that can end in bur injuries for the patient. In 2002, a patient named Cathy Lake, went in to the hospital for surgery and suffered second and third degree burns on her face, in her mouth and airway from a surgical fire. She subsequently started a nonprofit group and a website, org to raise awareness about the issue of surgical fires. Surgical fires can be prevented when safety precautions are followed. Electrical burns. Patients can sustain burn injuries from iatrogenic electrocautery, which is a tool that surgeons use for cutting and coagulating. Burns, which are preventable, can take place when the active electrode makes direct contact with the patient’s skin. Other sources of electrical burns can come with the use of the daVinci surgical robot. Radiation burns. When an individual is exposed to excessive radiation during a cancer treatment they can suffer a radiation burn that destroys tissue. While these overexposure accidents are not common, they can have severe, long term health consequences for the patient. Laser burns. Laser surgery uses the intense heat generated by focused beams of light to remove diseased tissue, birthmarks, wrinkles and many other surgical procedures. Medical mistakes during laser surgery can include bleeding, infection, burns and scarring. Chemical burns. Patients may be exposed to harsh or hazardous chemicals that can burn the skin and cause scarring. If the chemicals make it into their eyes, they could be left permanently blind. A severe burn is incredibly painful, and it can do significant damage to the skin, nerve endings, and muscles. Burns are very slow to heal and they often require several surgeries and skin grafts to repair the damage. But burn injuries also cause deep, psychological pain. The patient is left with disfiguring scars for the rest of their lives that remind them of their traumatic ordeal. Burned areas of the body are more prone to infections which are also painful. Depending on where the scars are located on the body, they can interfere with a person’s employment options. When a trusted medical professional makes a mistake that causes you so much pain and disrupts your life, you can take comfort in the fact that the legal team at the Rocky McElhaney Law Firm is here to fight for you and protect your rights to compensation for your injuries. Our Nashville medical malpractice attorneys know just the right experts to consult, we review your medical records and we find the evidence that we need to bring the responsible party to justice. Our goal is to accomplish the best possible outcome on your behalf. Severe burn injuries caused by a doctor’s negligence can be devastating. Our job is to hold medical personnel accountable for their mistakes. The Rocky McElhaney Law Firm has offices in Nashville, Hendersonville and Knoxville for your convenience. You may call us toll free at 888.619.4765 or fill out our contact form to reserve a free consultation with an attorney who cares about your future.